Environmentalists, unions and the logging industry have formed a rare agreement to save most of these ancient forests. But because of the Tasmanian Forestry Act 1920, these trees will be felled anyway -- unless the Federal Government can step in and buy out the logging licenses. Enter your details in the form to the right to send your Labor representative a message to let them know you want the federal government to support the rare opportunity to fund the protection of Tasmania's forests. Don't know what to tell your MP? Click here for some talking points. - In October last year an historic agreement was reached between the logging industry and environment groups to end the decades long conflict over forestry in Tasmania. - There is now a once in a generation opportunity to preserve our irreplaceable forests, their wildlife, and help save our climate. 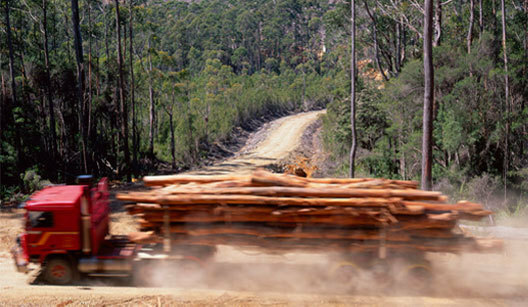 - The Federal Government needs to allocate funding in the 2011 budget to provide the necessary exit funding for native forest logging operators and assist impacted workers to start the shift to a sustainable timber industry. - The funding must be tied to the legislated protection of Tasmania's precious forests and a reduction in the mandatory high quality saw log provision under Tasmanian law. This is a crucial moment for the fate of Tasmania's forests and the agreement reached between loggers and environmentalists to protect them We're so close to victory, but we need to ensure the future of our native forests doesn't slip through our fingers. Use the tool below to tell everyone you know to contact their MP too!